Just a reminder: Tomorrow, October 4, 2008, our eBay Shoppe will officially be open for your patronage. We will be offering the entire selection of our dark art pendants up for auction. Bidding will begin at just $1. 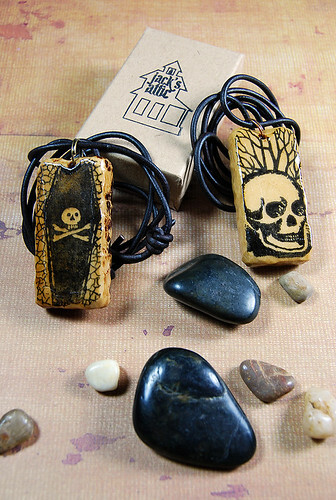 Also do not forget to peruse our collection of handmade, dark art jewelry at our Etsy Shoppe.